I know this may be a futile question but, I am going to ask it anyway. A friend was cleaning out his Mother's house, and he found an original 1966 version of the AMT Enterprise with the lights. I am debating whether it would be possible for me to be able to do a restoration on it. 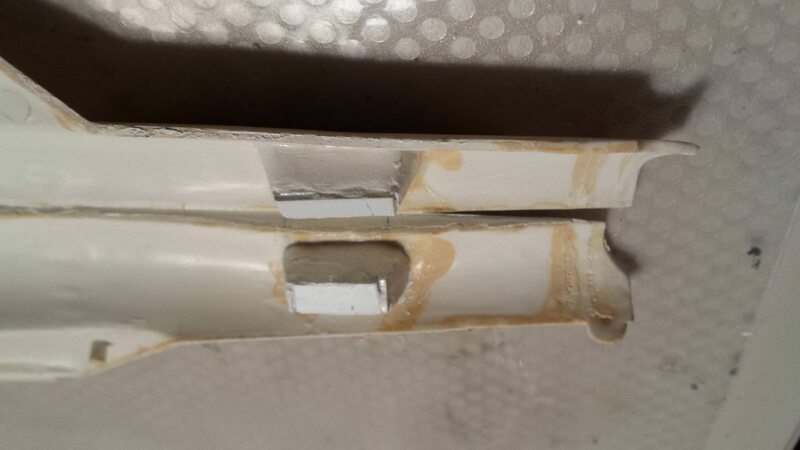 The first big problem that I came across is a broken tab on the port nacelle strut. 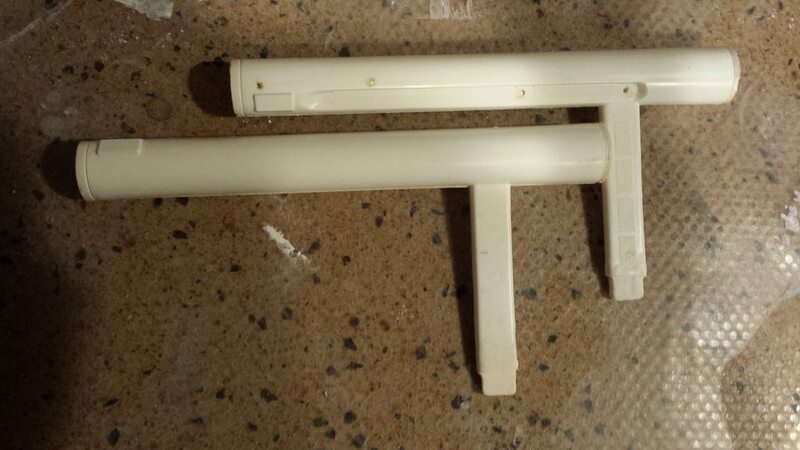 Anyone that is familiar with this kit knows that there is a hole at the bottom of the strut that a tab locks into inside the secondary hull. These pieces were notorious for breaking easily or at least causing sagging with the nacelles. I tried to add a picture of my dilemma from Dropbox but i won't show up. I would like to know if anyone has a solution for this or if I should throw in the towel? 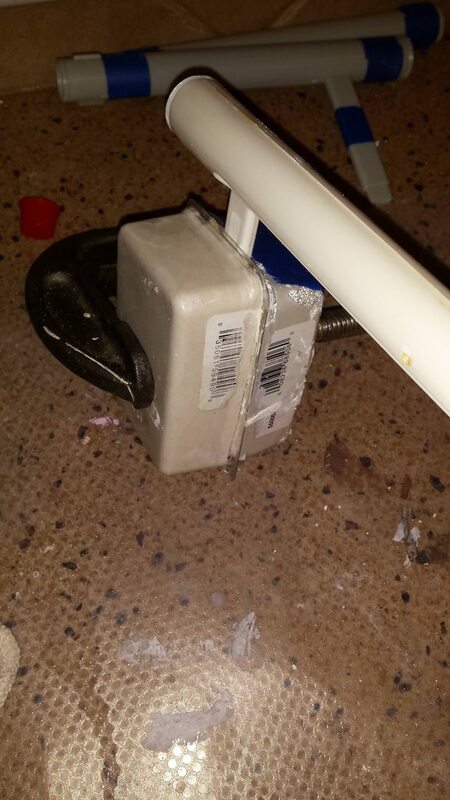 I tried a couple of different epoxies but when I tried to install the piece snapped right off. Also, what would be a good way if possible of trying to get intercoolers, Bussard dome, and control reactor loop off to try and clean it up some? Ideally, if someone out there had these versions of nacelles to sell that would be great but, I think that would be pretty difficult to do. If anyone has any ideas, I would love to hear them. That mortise and tenon joint was notorious for not working right when it worked right. I had one back in the day, Then add old plastic to that. If you are not willing to toss in the towel you are in for some serious rebuilding. Just toss everything about the model that is the pylon/hull connection and rebuild it. Or get one of the newer version of the model and put lights in that. Thanks for the reply Tesral. I did have thought though. 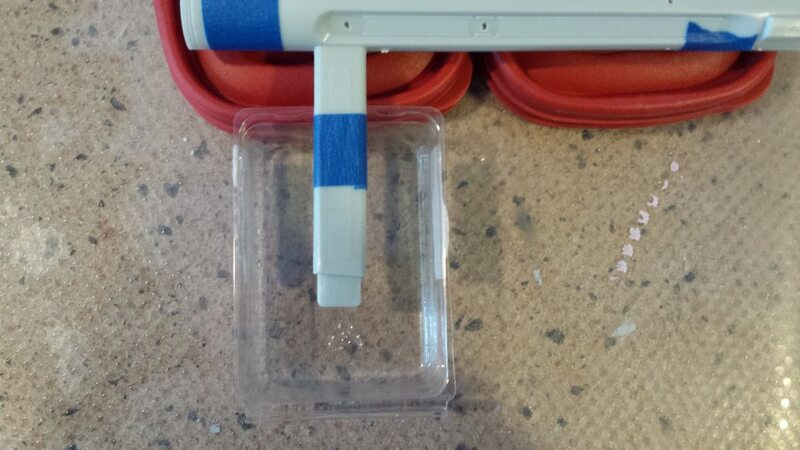 What about using the current version of the nacelle and recreating that square hole and try to attach them? Maybe with a little filing and sanding it may just work. What do you think? I'm going to do some guesstimating here. I have not had my hands on that model since the late 70s. I remember the pylons being hollow. 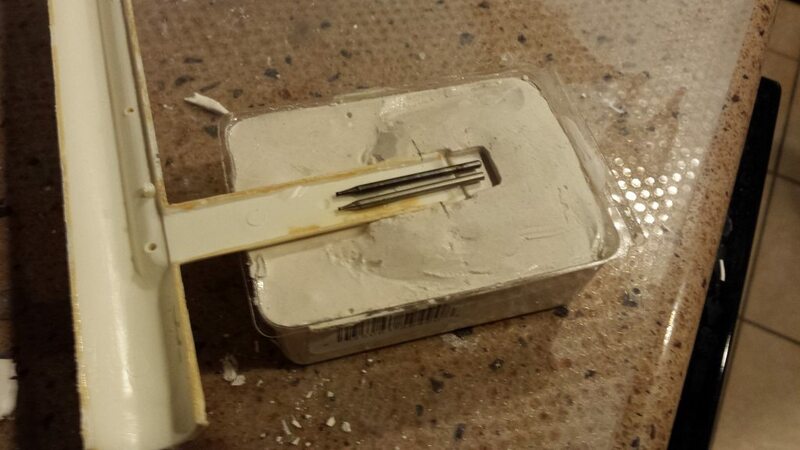 That would allow you to place a sturdy tab in the pylon to replace the stirrup and to recreate the later box inside the secondary hull. Or you could get a piece of aluminum strip stock from the local Big Box hardware, bend it to the correct angle and epoxy that in the pylons for a hold like nothing else. You will have to attach it to the secondary hull as well. The lights on the '66 model were simple grain of wheat bulbs in the planetary sensors. The switch was the deflector housing. There are certainly better options if you wish to modernize things a bit. And Green. The Enterprise is a light greenish gray. I have done a restoration of a 1974 AMT 1/650 Enterprise and I can tell you about my solution; if you don't mind. could use and most of the other items I used I had on hand. 1. This is the plan. I would use the spare Round2 pylon to make an impression of the male tab portion. 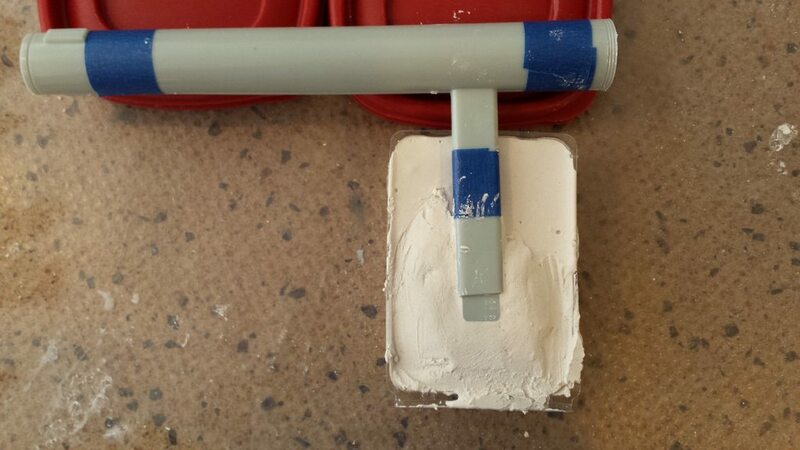 I used a carpenter nail bulk packages, actually 2 of them, to hold the plaster while I made the impression. 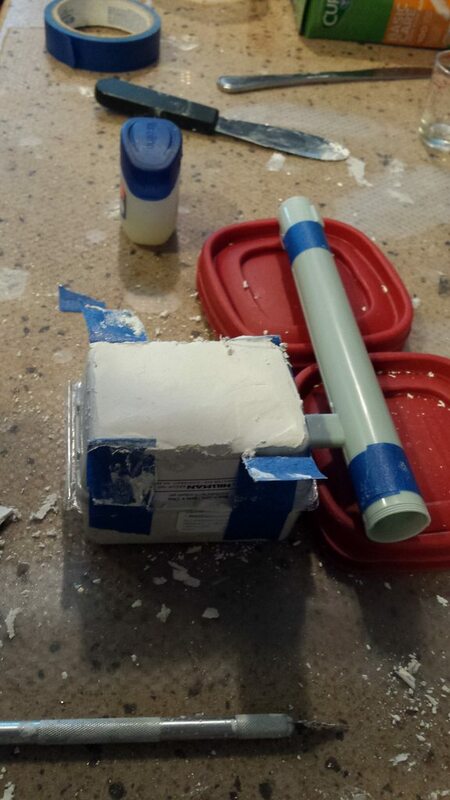 Cardboard would absorb the water from the plaster too quickly and make the stone set too quickly. That’s the reason for the plastic packaging. 2. I filled the packaging with a bulk of stone and then, after painted stone onto the pylon itself to capture the detail, I gently laid the painted pylon into the wet stone supporting it with the storage lids. Here I also had to make sure there were no undercuts in the stone or in the pylon so the second stone half would separate from the first. 3. I applied liberal amounts of separator, Vaseline, to the first half so the second half wouldn’t bond with the first. 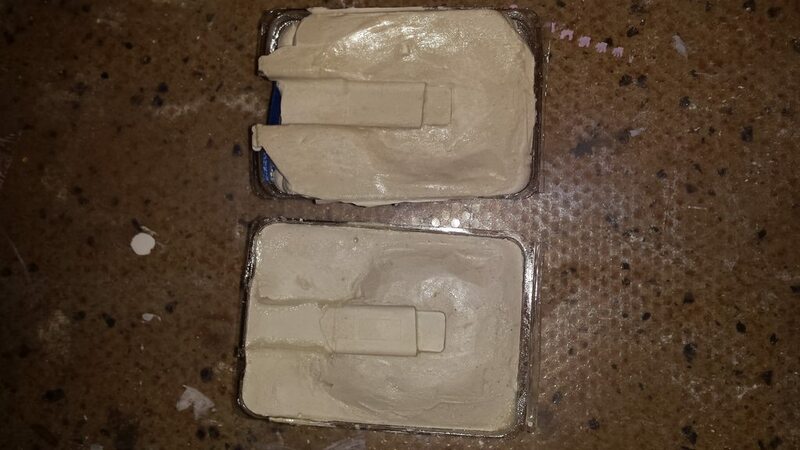 I also used Vaseline to fill any holes in the first half as well as blockout some minor undercuts I had. I took the second bulk nail packaging and cut the bottom out to allow me access to pour the second half. I made another mix of stone and, after painting the exposed pylon with wet stone, taped the second package to the first and quickly filled the second half with the stone. While the stone was setting, I prepped the restroation pylon to allow for a finish line and to allow more surface for the fingernail acrylic to grab. 4. Then, I separated the two halves and took out the spare Round2 pylon. This left me two halves of the impression. I applied liberal amounts of Vaseline to the second half and blocked out undercuts. The second pylon needed some additional reinforcement as it didn’t have enough surface area for the new acrylic to grab on to. I had some old dremel burs I had broken the head off during use, and superglued them to the inside of the restoration pylon. 5. 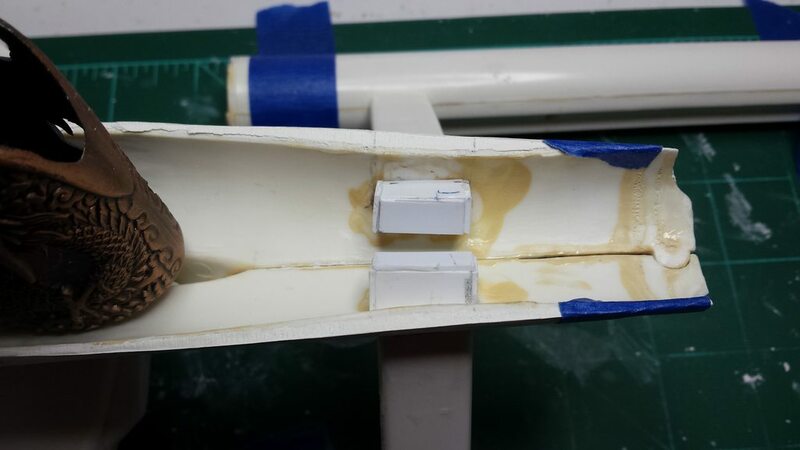 After about 35 minutes and constantly checking a small sample of the same batch of acrylic for hardness, I opened the mold and, after cleaning off the gross flash, here is the restored pylon support tab. 6. Once I had glued the second pylon back together, I used the same process to create the support tab on the second pylon. Here are the two pylons together. I still need to do some finishing and sanding before they are ready to assemble, but at least I have something to work with now. For the secondary hull, I had to break it apart as well. 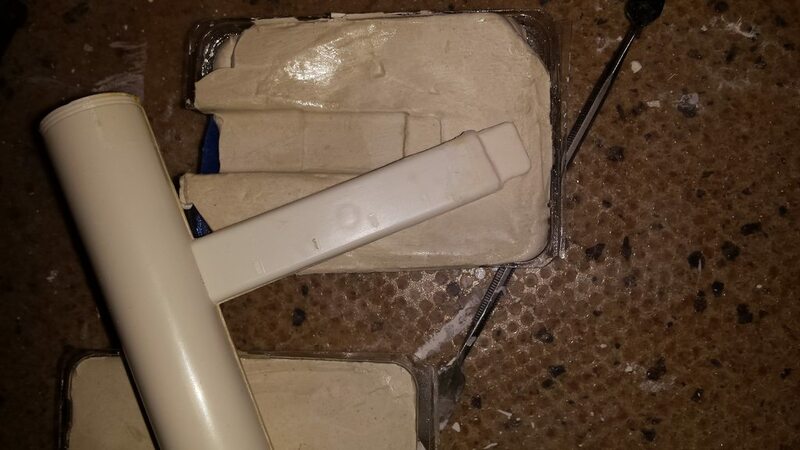 I couldn't think of a way to salvage the original nacelle supports, so I ground them away with a Dremel bur. I scratch-built some recepticals for the tabs and surrounded them with Millput to make sure they wouldn't break again. Then I built the pylons per my usual tactics. It is a lot of work but as you can see in the gallery link it looks pretty good. Apologies for the long post, but I thought you might be interested in the process I used to make the tabs. Last edited by MSgtUSAFRet on Wed Apr 04, 2018 3:42 pm, edited 1 time in total. WHOA! Steve, that is Jedi, nay, Scotty level engineering you did there! el gato wrote: WHOA! Steve, that is Jedi, nay, Scotty level engineering you did there! When I built my 18 incher years ago I added two sections of rectangular brass tubing to each pylon (one on either side of the locator pins) with enough sticking out the bottom to sandwhich between two tabs of thin styrene sheet. I wanted hollow tubes to pass the wires through for bussard lighting and motors. Glued the brass to the plastic with CA. Filled any gaps with AVES before gluing the nacelle-pylon halves together with Testors cement. I had the version with the sockets in the secondary hull though which made things easier than the older stirrup and clip setup would have been to modify. I wish I could say I thought of it! But, I was a Dental Lab tech for 15 years and this technique is also used to make dentures. I would have used RTV rubber and Resin myself. But the nail acrylic idea is new. I'll keep that in mind. I've used nail acrylic for windows before. I used it in my Leif Ericson but not much since then. Makes for really tough slightly opaque windows which is fine since I don't want you to see the interior.